Tents, Sleeping Pads, Sleeping Bags and Helio Shower. 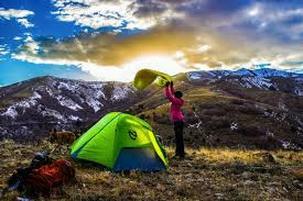 Innovative, Beautiful, Lightweight Cutting Edge gear for your outdoor adventure. From the highest peaks of the Himalayas, our people lead the world of mountaineering with warmth, grace and good humor. Our company seeks to honor our legendary high altitude climbers by creating adventure gear that earns their praise. As a U.S, distributor of nordic skis and equipment, Alpina Sports USA is a top supplier of Olympic winning nordic ski equipment for the avid skier to the beginner skier. Made entirely in the USA, Accent and Cannon Paddles offer excellent performance and value with outstanding customer support. Made in the land of 10,000 Lakes but tested nation and world wide, Accent is dedicated to innovating kayak, SUP and canoe paddle design. Cannon is a value leader, rock solid construction, these paddles are build to last with a friendly price point. 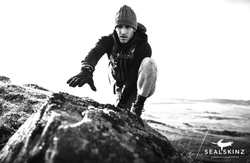 At SealSkinz® we have over thirty years of experience in developing and manufacturing outdoor extremity products. From our conception we’ve worked in partnership with some of the world’s greatest athletes including mountaineers, explorers, bikers, skiers, runners, and those who enjoy equine and field sports to ensure our products deliver the very best in comfort and performance. 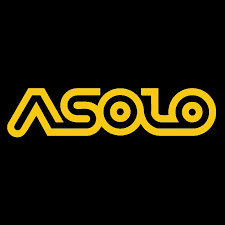 Since our beginnings, as athletes and outdoor enthusiasts ourselves, our goal has been to have the very best products for all our customers by following a manufacturing and design mantra of Durable, Flexible, Breathable, and Waterproof Technologies. LEKI's unique development started as a result of the founders' personal dissatisfaction: Karl Lenhart, an avid skier himself, was less than impressed by the quality and functionality of the ski poles of the time. Therefore, he used his own machine park to manufacture grips and baskets for skiing poles. These went into mass production in the 60s. Lenhart was familiar with aluminum and composite processing on account of his aircraft manufacturing experience. In 1970, he used these raw materials to produce his first ski poles to be sold under the LEKI brand.